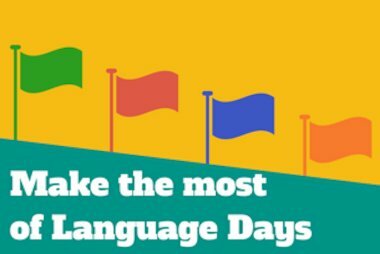 In celebration of European Day of Languages on September 26th, we’ve gathered together a few of our favourite idioms in multiple European languages. Some may be familiar to you – for example, several languages have their own version of ‘it’s raining cats and dogs’. In French it rains ropes (il pleut des cordes), in Greek it rains chair legs (βρέχει καρεκλοπόδαρα) and in Czech it rains wheelbarrows (Padají trakaře)! English equivalent/meaning: to be a piece of cake, really easy to do. English equivalent/meaning: to be totally and completely lost. English equivalent/meaning: that something fishy is going on. English equivalent/meaning: to arrive at the worst, most awkward moment. English equivalent/meaning: to cost an arm and a leg, to be very expensive. English equivalent/meaning: to faint, pass out. English equivalent/meaning: to be unaware of what is happening, to be oblivious. English equivalent/meaning: in the middle of nowhere. English equivalent/meaning: pretending not to be aware of something they know, often to avoid blame. English equivalent/meaning: Unlike in English where this idiom suggests clumsiness, in Greek the meaning is more towards ‘outraged to the point of smashing nearby objects’. English equivalent/meaning: not my problem. English equivalent/meaning: I told him off. English equivalent/meaning: there is no need to worry. English equivalent/meaning: buying something very cheaply. English equivalent/meaning: an insincere smile. English equivalent/meaning: to do nothing, to waste time. English equivalent/meaning: to make a mountain out of a molehill, to turn little problems into huge disasters. 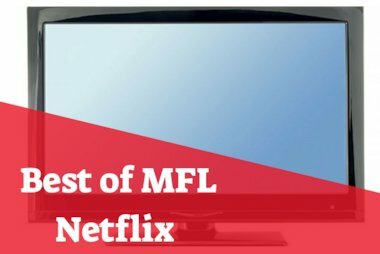 Check out our pick of the best foreign-language tv shows and films available on UK Netflix. To celebrate Europe Day, we asked you how you have celebrated important days in your classroom and you gave us some fantastic answers. We’d like to share some of our favourites! 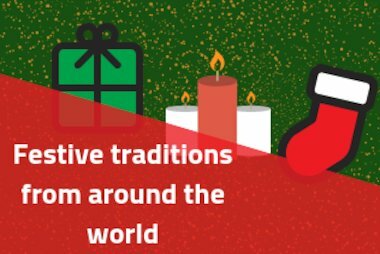 We look at a small selection of the weird and wonderful Christmas traditions from various countries around the world.